1. Ways of Camelot series- I am about 10% done with Book #3, ROAD OF CLOUDS. I was stalled for a bit until I realized that I was trying to squeeze too much into one volume. So, yes, there will be a Book #4, tentatively titled ROADS’ END. The book is hitting its stride now that I’ve split it into two and started the Sci-Fi novel (see below). I now have some breathing room to let Thom mature a little and improve his magical skills before he has to face his ultimate foe in Book #4. It also lets me ratchet up the energy even more. Good stuff! 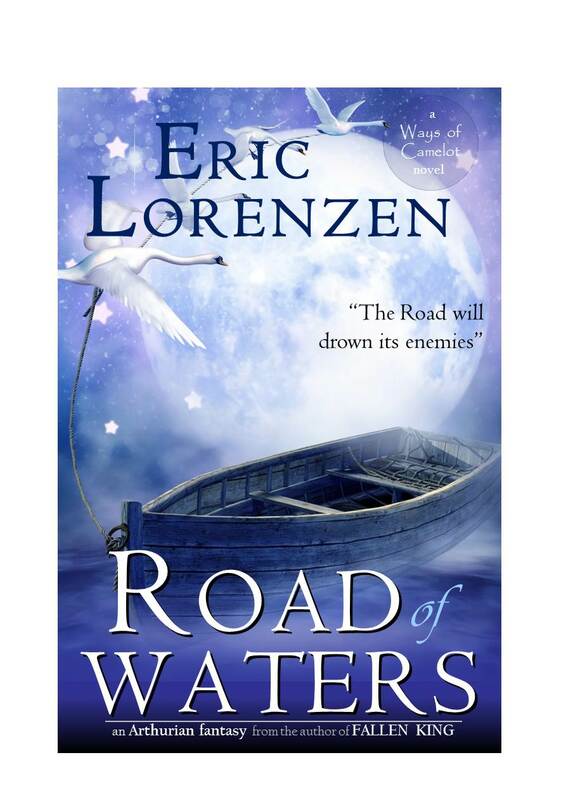 Book #2, ROAD OF WATERS, is now out in trade paperback as well as e-book and I really love how its cover turned out. Sales have started slow for this Young Adult Fantasy series, but those who have read it are loving it, so I’m happy with that. 2. Tyrants of Tolerance series- I have jumped into writing Book #1 of this new series because I needed a bit of a break from the Camelot series. This novel doesn’t have a name yet, but is a Young Adult Sci-Fi/ Dystopia. Has a great start, full of energy and emotion. Look forward to really digging into the story. I’m about 10% finished on this novel too. 3. Cirian War Saga series- I am about 30% done with Book #2, TRUTH MOCKER, and holding. I haven’t done much with this series in 2014, due to its huge size (these books are 2-3 times as long as the others). I do look forward to getting back to the series, but it won’t be until next year. I hope to complete two books in this series in 2015. Well, that’s it for October. Hopefully, November will be a much-more productive month. Thanks for reading.